Latest to join the Samsung family is the second instalment of the famous Samsung Galaxy Grand & there are no points for guessing that it is code named as Samsung Galaxy Grand 2. Looking at specifications it seems that it will keep alive the legacy of the grand series & win millions of heart worldwide. Samsung has really stuffed in some great specifications in this latest smartphone. Samsung Galaxy Grand 2 sports a 5.25 Inch TFT Capacitive touch screen with multi touch. This smartphone adds up a HD display with a resolution of 720 x 1280 Pixels, ~280 ppi pixels density, 16 M Colours. Dimensionally Samsung Galaxy Grand 2 measures 146.8 x 75.3 x 8.9 mm (5.78 x 2.96 x 0.35 in), while it weighs 163 gms (5.75 oz) & this smartphone will be available in three flavours viz; Black, White & Pink. 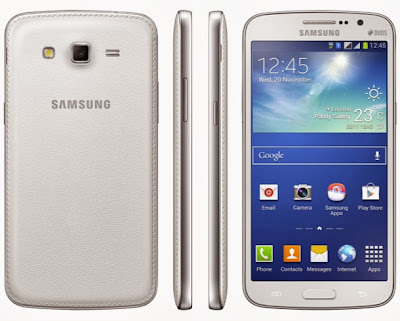 Samsung Galaxy Grand 2 is a 3G ready smartphone which comes in two models viz; SM-7100 Single SIM & SM-7102 Dual SIM. Under the skin of this smartphone is a Quadcore 1.2 GHz Cortex A7 Processor, Broadcom BCM23550 Chipset. VideoCore IV GPU & 1.5 GB RAM. Technically Samsung Galaxy Grand 2 is efficient in multi tasking & playing latest games. This smartphone will come out of the box with Android OS v4.3 (Jelly Bean). The internal memory stuffed in Samsung Galaxy Grand 2 is of 8 GB with a slot for microSD card that supports upto 64 GB card. The data connectivity aspect of this smartphone features Wifi, Wifi HotSpot, DLNA, Bluetooth v4.0 with A2DP, LE, EDR, microUSB v2.0. 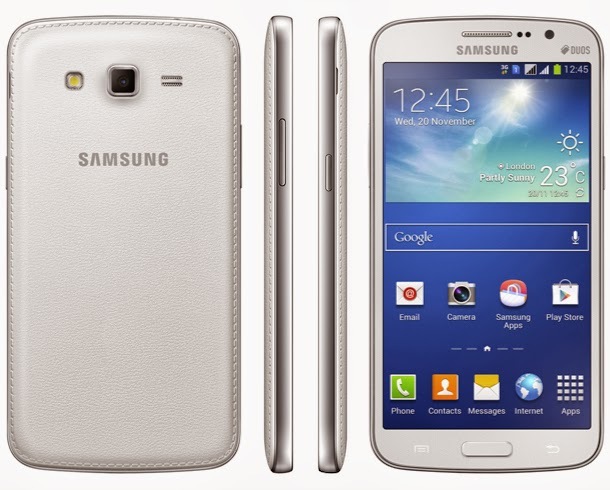 For positioning this Samsung Galaxy Grand 2 is loaded with GPS with support for A GPS & GLONASS. The Primary camera on the rear panel of this smartphone is of 8 MP with LED flash light, auto focus, geo tagging, touch focus, face and smile detection, image stabilization, stereo sound recording. This primary camera is capable of clicking images of resolution 3264 x 2448 pixels & record HD videos of 1080 P @ 30 fps. The Secondary camera on the front panel is of 1.9 MP for video chatting. Right behind the rear panel sits a Li-ion battery with a juice of 2600 mAh.